Unrealistic expectations and a lack of political will doomed the 15-year rebuilding effort, according to a new report. WASHINGTON — The watchdog responsible for monitoring the U.S. government’s effort to rebuild Afghanistan says the 15-year, $5 billion effort hasn’t worked, according to a report released Thursday. 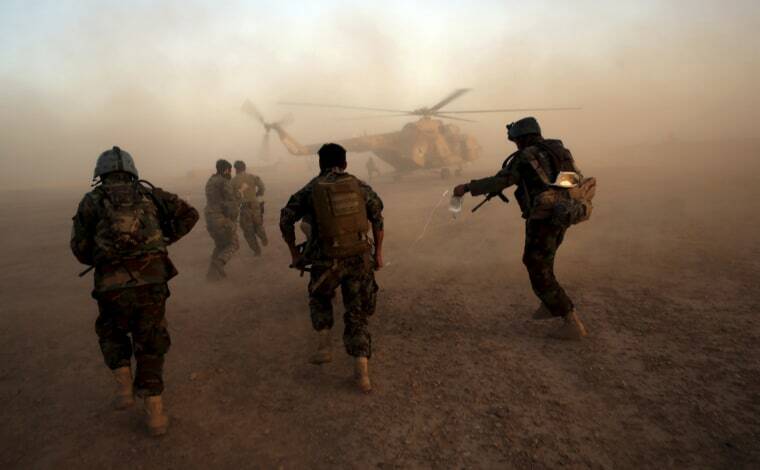 “[Our] overall assessment is that despite some heroic efforts to stabilize insecure and contested areas in Afghanistan between 2002 and 2017, the program mostly failed,” said John Sopko, head of SIGAR, at a Thursday morning event announcing the report. In 2003, the U.S. launched a counterinsurgency mission in Afghanistan that would come to include a clear-hold-build strategy. U.S. forces were instructed to clear an area, hold it and then build institutions. But the Obama administration also had a drawdown clock for removing U.S. forces from Afghanistan, and the report says the decision to draw down forces on timelines unrelated to conditions on the ground “had a profound and harmful impact” on later decisions about stabilization. According to the report, the U.S. military and State Department were continually racing against this clock, which said that in 2011 U.S. “surge” troops would start to leave the country, and in 2014 the Afghan government would take security control of the entire country. One solution was to build the Afghan Local Police (ALP) to compensate, but it grew at what the report terms an “unsustainable rate” from 6,500 in 2011 to 24,000 in 2013. Militias that had operated outside the government were absorbed into the ALP without proper vetting. In general, the report finds that the U.S. government “greatly overestimated its ability to build and reform” Afghan government institutions and did not tailor the programs to Afghanistan. “Poor results of this particular stabilization mission make it tempting to conclude that stabilization should not be conducted in the future at all,” says the report. Future efforts could be successful, the report concludes, if there are realistic expectations of the level of effort required and what is achievable, better preparation and improved oversight.